The world's longest-reigning monarch has finally died leaving the country in deep mourning. Thailand's King Bhumibol Adulyadej, who was the world's longest-reigning monarch, died in hospital on Thursday, the palace said in an announcement. He was 88. 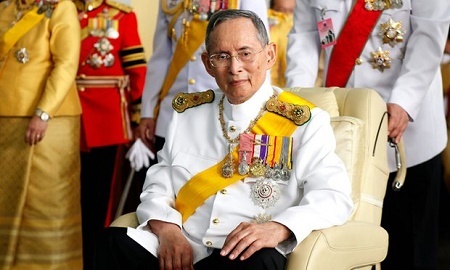 "His Majesty has passed away at Siriraj Hospital peacefully," the palace said, adding he died at 15:52 (0852 GMT). Parliament was due to meet in a special session later on Thursday after a meeting of the cabinet, a legislature official said. "I feel so saddened by this news. He has given so many things to the country," said Apinut Jaroonpipatkul, a 25-year-old medical student. King Bhumibol was seen as a force for unity, and there have long been concerns that without him the country's divisions could worsen. He has kept a lower profile than King Bhumibol for most of his life but in the past two years took on more of the public duties the king was no longer able to perform. The prince divorced his third wife in 2014. Thailand's strict lese-majeste laws has left little room for public discussion about the succession. It has been so long since Thailand has had a succession, there is no modern precedent. Thailand is expected to be in mourning for months and possibly longer, and the prince's coronation will not take place until that mourning period is over. When the king's sister died in 2008, a 100-day mourning period was declared. She was cremated 10 months after her death.